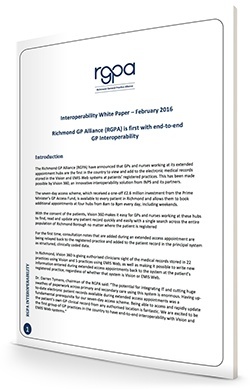 The Richmond GP Alliance (RGPA) have announced that GPs and nurses working at its extended appointment hubs are the first in the country to view and add to the electronic medical records stored in the Vision and EMIS Web systems at patients’ registered practices. This has been made possible by Vision 360. Download this casestudy by completing the form opposite.